Canada captured its first gold medal on the opening day of competition at the 2018 Paralympic Games on Saturday in Pyeongchang, South Korea. Mac Marcoux of Sault Ste. 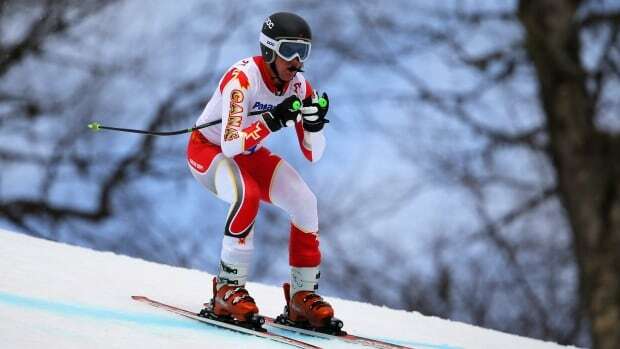 Marie, Ont., won his first Paralympic visually impaired downhill race in a blistering one minute, 23.93 seconds. The 20-year-old topped the podium alongside his guide Jack Leitch. Marcoux is competing in his second Games. He earned gold in visually impaired giant slalom and took bronze in both the downhill and super-G in Sochi four years ago. Earlier, Mollie Jepsen of Whistler, B.C., took bronze in the women’s downhill standing event in a time of 1:34.60 behind France’s Marie Bochet and Germany’s Andrea Rothfuss. Calgary’s Alana Ramsay was fourth, while Toronto’s Erin Latimer and Mel Pemble of Victoria B.C., finished sixth and ninth, respectively. Montreal’s Frederique Turgeon did not finish after falling. In biathlon, Collin Cameron of Sudbury, Ont., added another bronze in the men’s 7.5-kilometre sitting sprint. Alexis Guimond of Gatineau, Que., had Canada’s best result in the men’s downhill sitting race with a fourth-place result. Kirk Schornstein of Spruce Grove, Alta., was sixth and Braydon Luscombe of Duncan, B.C., did not finish. Emily Young of Kelowna, B.C., finished the women’s 6-kilometre standing sprint in seventh ahead of eighth-place Brittany Hudak of Prince Albert, Sask.